Experts believe that “blue light’ can disrupt sleep patterns, diet, and people’s vision. 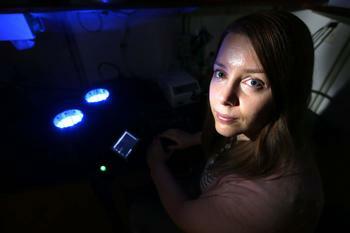 Purdue assistant professor of biochemistry, Vikki Weake, led a blindness study in fruit flies. The findings of the vision loss study could prove useful in understanding human ocular diseases. If you are living with blindness, please contact SDCB. We have several programs that can help improve your life quality.